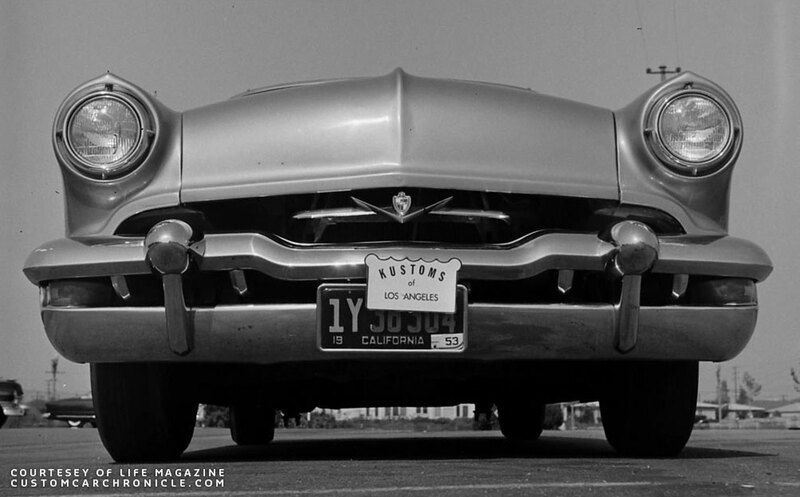 A selective group of Barris Kustom car owners was part of the Kustoms of Los Angeles car club. One of the items Barris created for this club was a cardboard plaque, three different once. 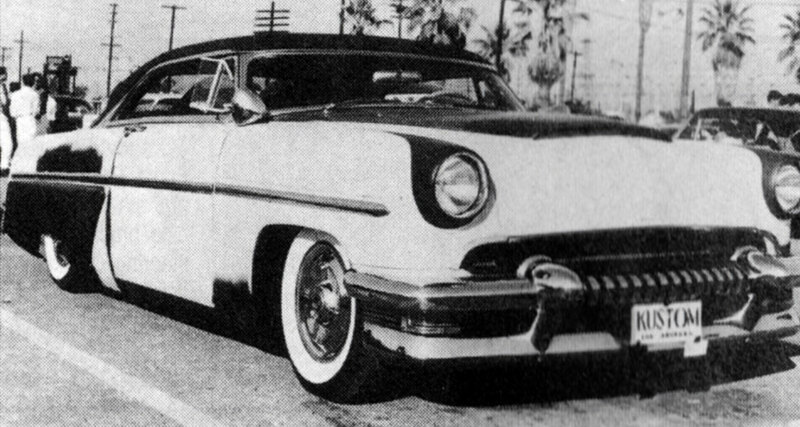 After George Barris had moved to Los Angles during WWII he started to work full time as Custom builder, creating cars for clients, and quickly making new friends in the car scene. 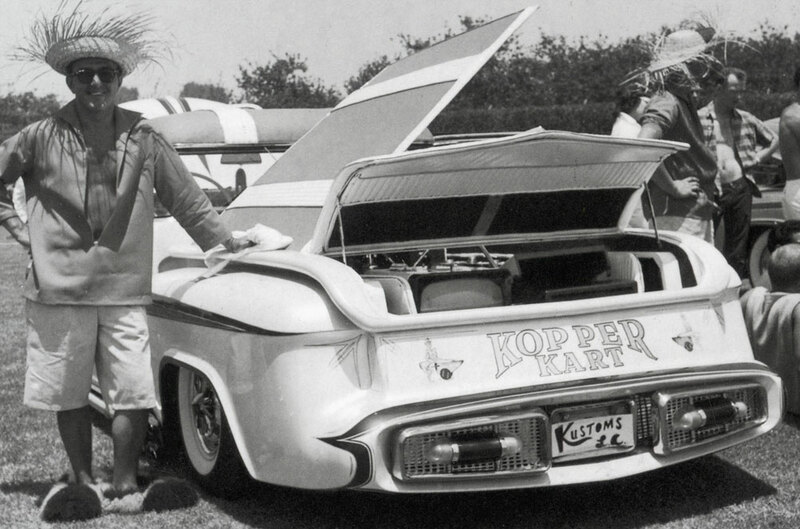 In the mid 1940’s – we do not know the exact date for this event – George Barris started the Kustoms Los Angeles club. A small club for Barris Custom Car owners. George designed a square Kustoms Los Angeles plaque that was cast in brass and detail painted in a dark purple color. Later Club jackets were made as well as membership cards. 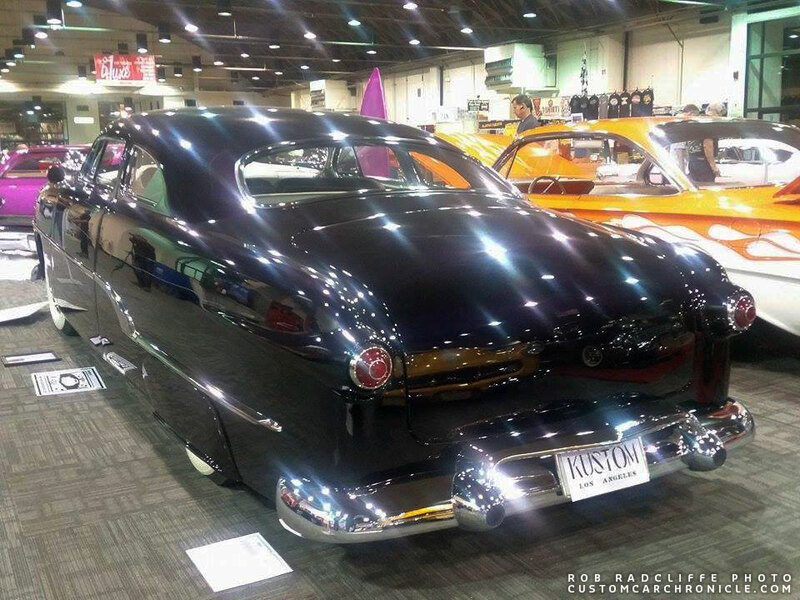 A few years later George saw the potential for a larger club and how he could attract more customers for his Custom Car restyling and aftermarket products he started to marketing, so he formed Kustoms of America. 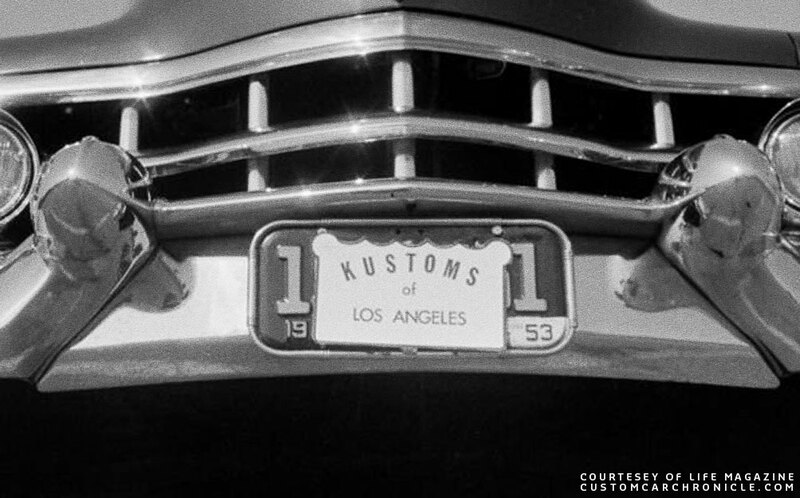 The small Barris Kustoms only Kustoms Los Angeles club remained and was renamed Kustoms of Los Angeles. An early brass Kustoms Los Angeles plaque and an later, mid 1950’s Aluminum crown Kustoms Los Angeles plaque on the top row. 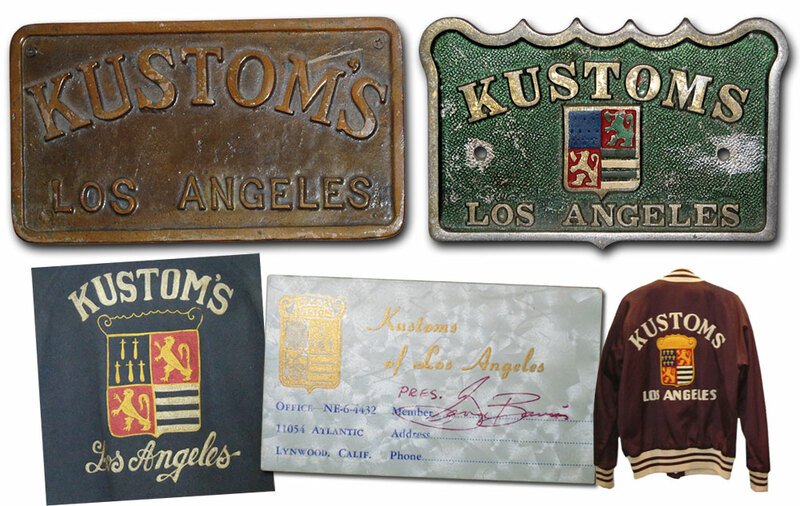 The bottom row shows two different type of Kustoms Los Angeles jackets (notice the Kustom’s and Kustoms difference) and a club card. 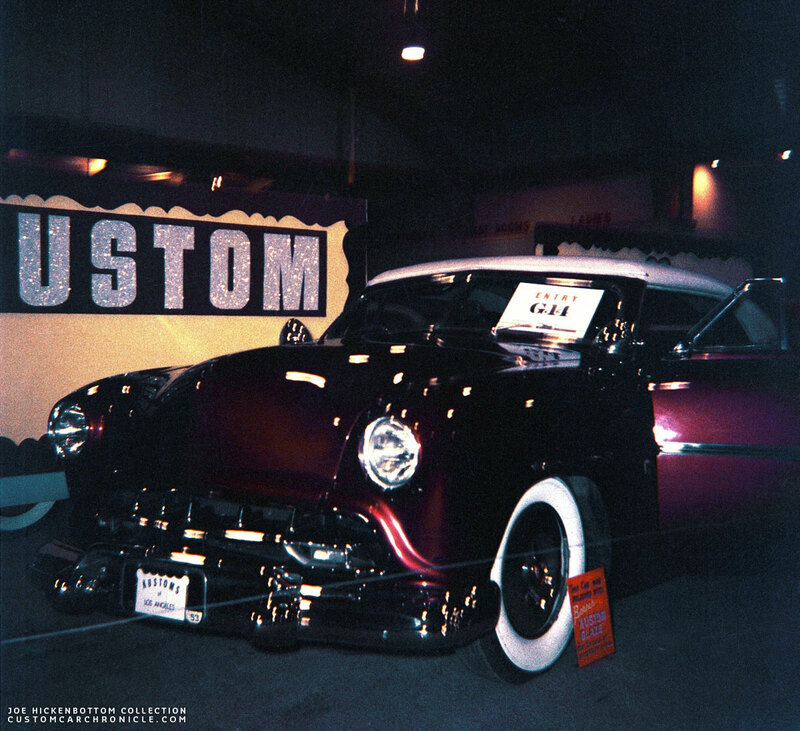 In late 1952, early 1953 the Kustoms Los Angeles plaque was redesigned with a new crown section on the top portion and a peak on the bottom, very much mimicking the design of the Barris crest which was designed at the same time. The new plaques now featured part of the Barris crest in the design and were cast in aluminum. 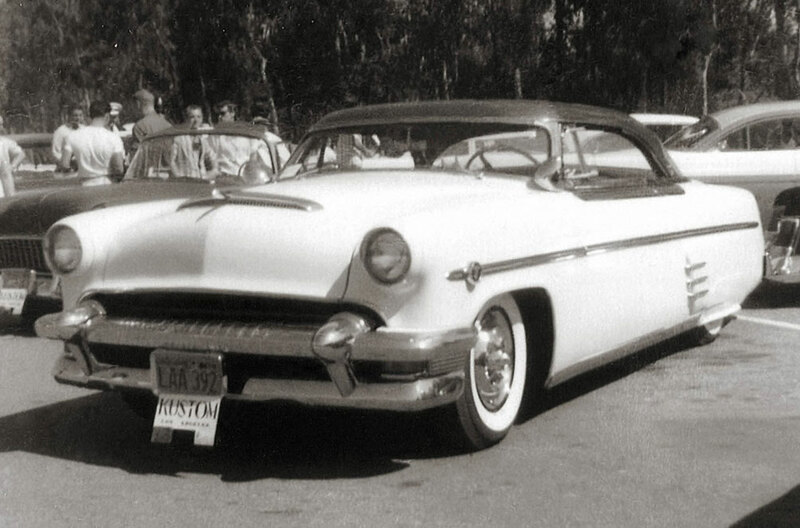 Also around this time, 1953 we see for the first time that some of the Barris Cars at car shows and photo-shoots with paper or cardboard printed Kustoms of Los Angeles cards covering the cars license plates. In my research I have found three different versions of these cardboard Kustoms of Los Angeles plaques. We found then on Barris Customs that were at in and outdoor car shows and on a series of photos that were taken by the Life Magazine photographer who took a lot of photos at the Barris Shop and on location. Lates take a closer look at these three different cardboard plaques. At the end of this article you can download a full size version of all three of these cards for FREE. The first version of these cardboard plaques I have come across is shown on cars with a 1953 license plate tag, and they could have been taken in the later part of 1952 I guess. This is the only card of the three version that was actually printed. The design is a simple version (without the Barris Crest) of the club plaque. I’m not sure if this paper version of the plaque was done before the aluminum plaque or the way around. The card were possibly printed on 8 x 10 cardboard and the most of them I have found are cut out around the edges, but there are also a few photos that show versions that were not cut out and just taped over the license plate. A cut out version taped to the license plate of George Barris his personal Cadillac. 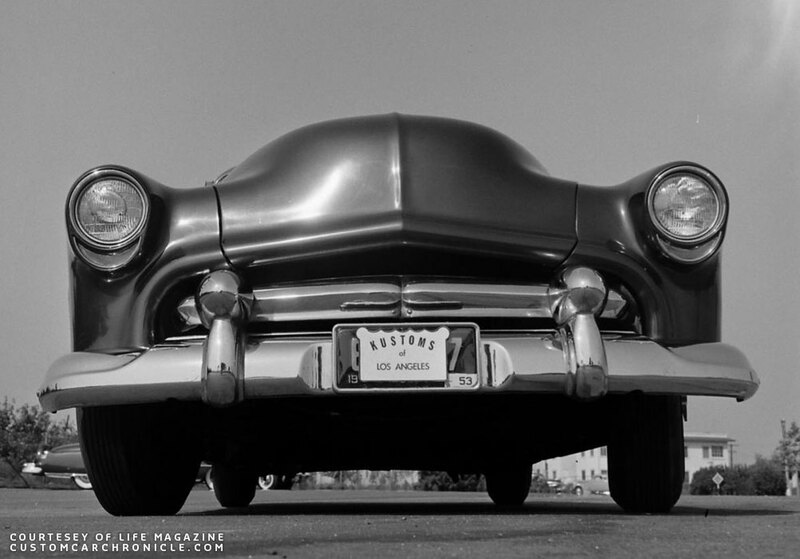 This car was put on the car at a parking lot where the Life Magazine photographer photographed a couple of barris Customs in 1953. 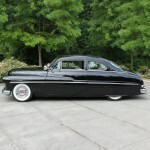 Another cut out one used on the Jack Nethercutt 1952 Oldsmobile restyled by Barris Kustoms. We have no idea why this cut out version is taped on the top right of the license plate on this Lincoln convertible mild custom. 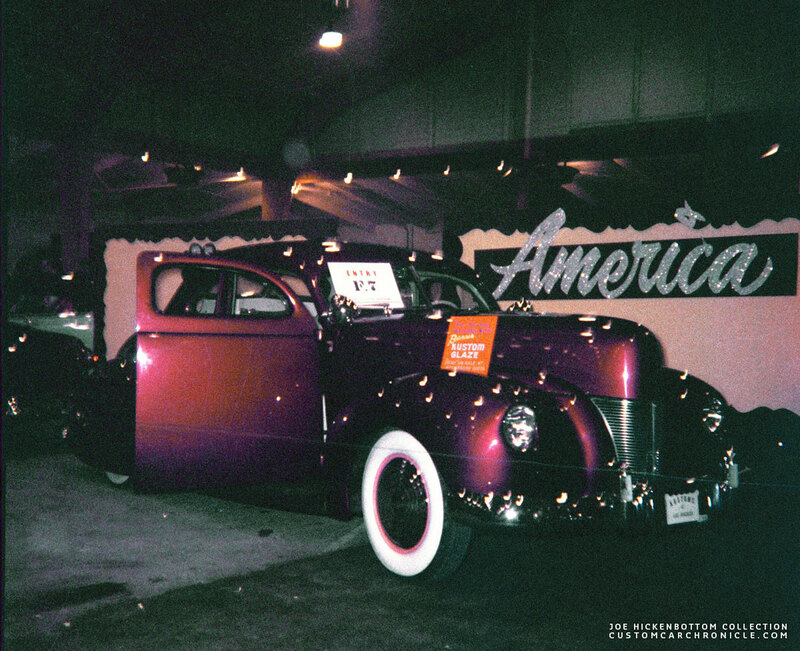 Tom Hocker’s 1940 Ford coupe kustom in its first fuchsia color at an 1953-54 San Jose indoor car show. Several of the Barris Kustom car at the show had the Kustoms of Los Angeles cardboard plaques. Chuck Dewitt also had the cardboard plaque on his Shoebox convertible. This photo of the Hirohata Mercury with the model shows the full printed card how it must have come from the printer. The license plate tag is 1953 and the photo was taken at a local outdoor car shows. Several Barris Kustoms, and Kustoms of Los Angeles members cars were at this event. This photo was taken at the same location as the Hirohata Merc photo shown above. All six cars in this photo at the outdoor car show have the cardboard Kustoms of Los Angeles car mounted over the license plate. For the second version of the cardboard plaque a stencil template was cut with KUSTOM LOS ANGELES on it. The “S” from Kustoms and the “of” where not used anymore in the new version. The stencil was used to spray paint the cardboard plaques. This was a very cheap way to create these plaques, but they did look a lot rougher than the first version, which was printed. 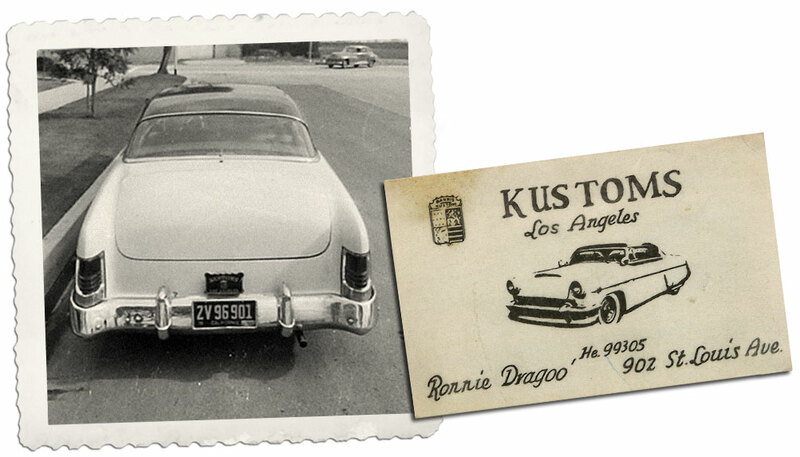 This is a cleaned up photo of the original Kustoms Los Angeles cardboard plaque as used on the Ronnie Dragoo 1954 Mercury. Ronnie Drago’s Mercury with the actual cardboard plaque on the car. 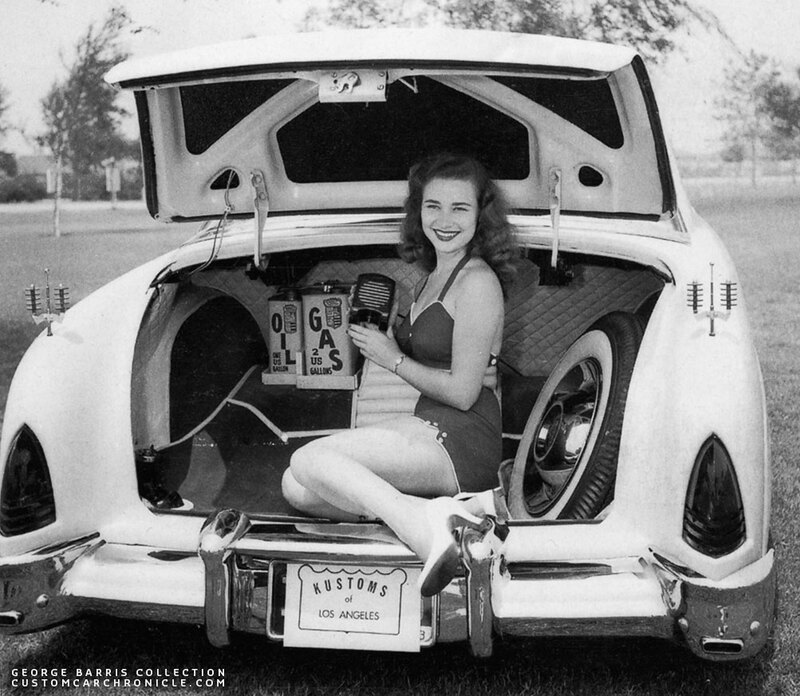 This photo was taken at an outdoor car show around 1955-56. Several cars now used the cardboard plaqur taped below the license plate. And in this photo we can see that there are also two business cards taped to the plaque. We can see this on several cars photographed during the same time. 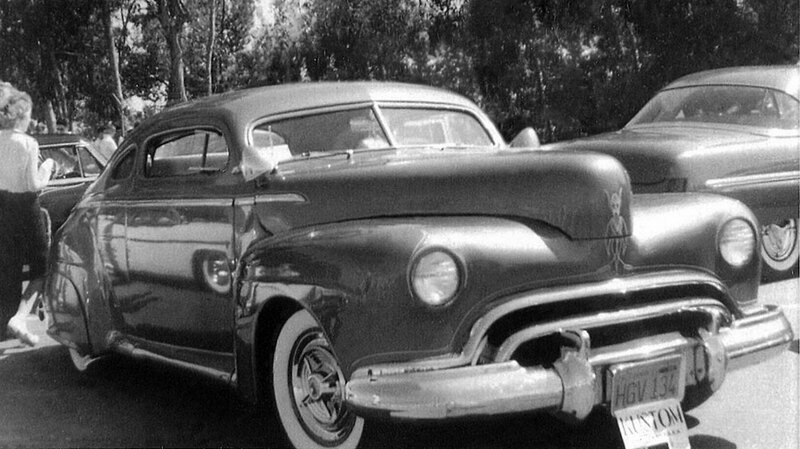 In an older (1955 plates) photo of Ronnie’s car we can see that Ronnie used a real aluminum crown Kustom Los Angles plaque mounted on the rear of the car. 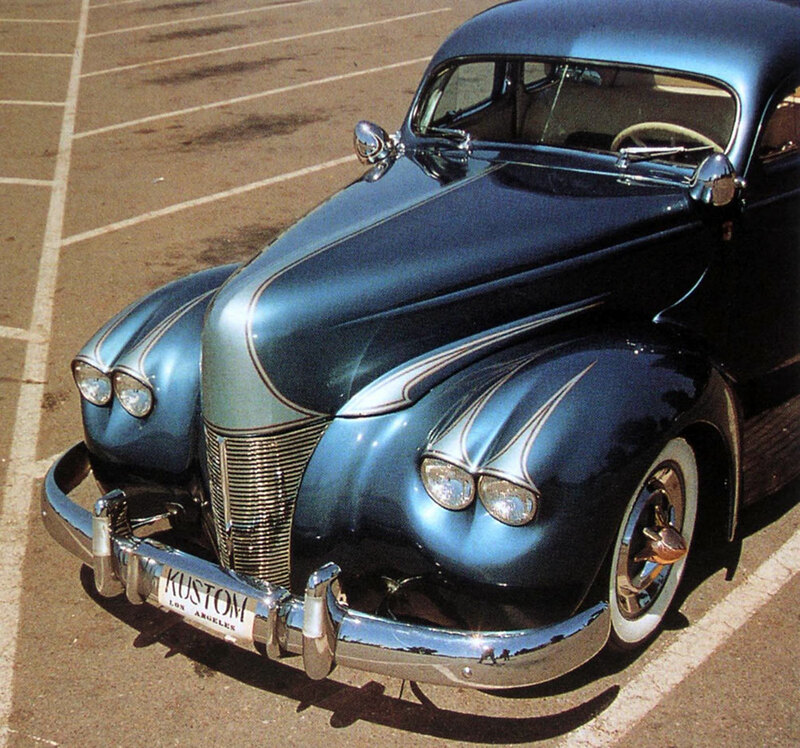 A later version of Tom Hocker’s 1940 Ford with trend setting quad headlights used the newer stenciled version of the Kustom Los Angeles plaque taped on to the front bumper. Chimbo’s Barris restyled 1954 Mercury with the stenciled plaque mounted over the front license plate with business cards taped to it. Marcia Campbell’s old 1942 Ford now owned by Anne DeValle used the plaque taped below the license plate. 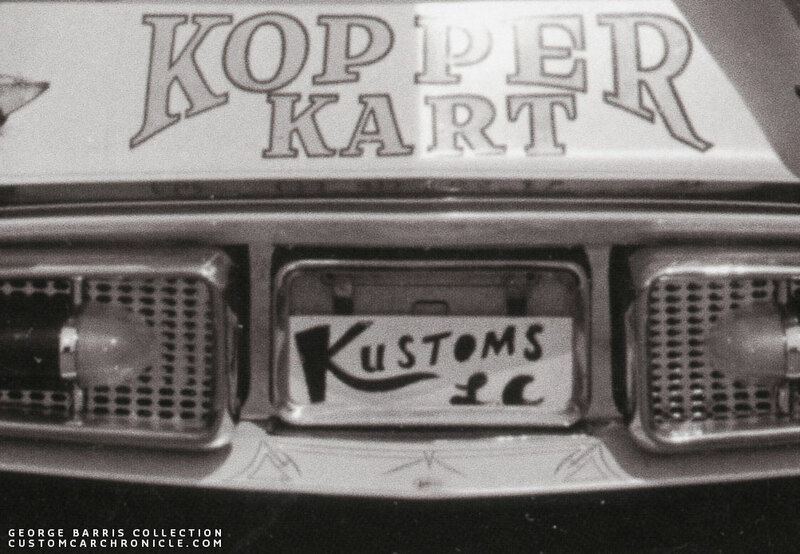 There are quite a few photos of the Barris Kopper Kart with this version of the Kustoms Los Angeles plaque. Close up shows the cardboard plaque is just taped to the regular license plate at the top. 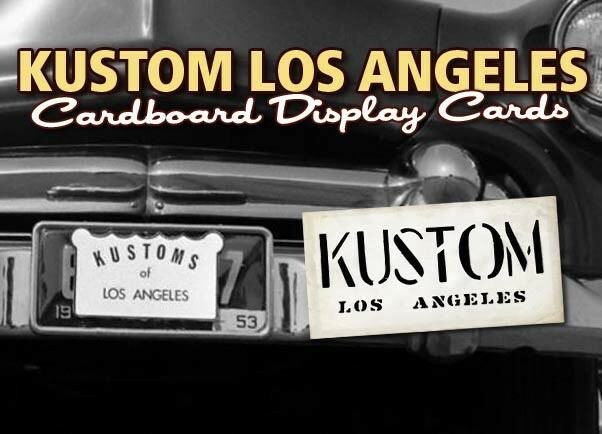 The third version, or at least what we think is the third version of the Kustoms L.A cardboard display card is the one that has been used the least. Or at least is photographed the least. We know of two cars that used this version of the card. 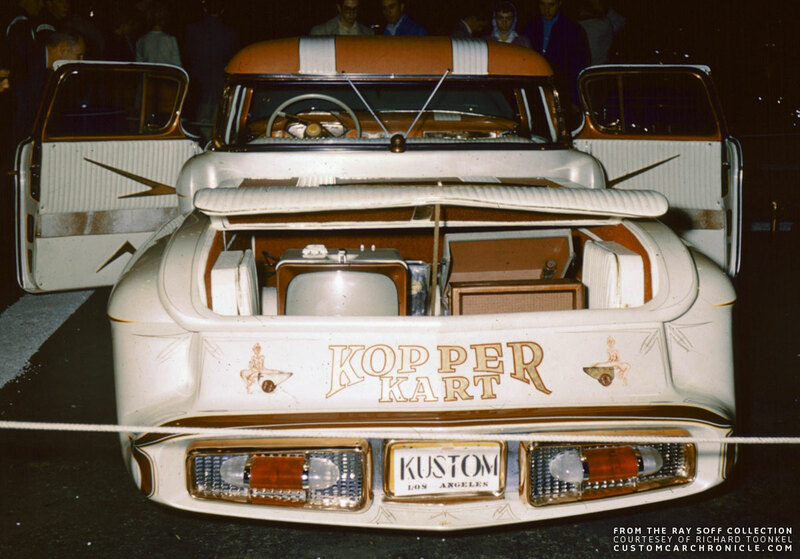 Mandy Holder’s Barris restyled 1951 Mercury convertible and the Barris Kopper Kart shop truck. This Kustoms L.A card was made using a hand cut mask with more free style cut letters. Black spray painted on heavy cardboard. This is the actual Kustoms L.A paper display card that was used by Mandy Holder on his Barris Restyled 1951 Mercury. Sadly we have not been able to find any photos showing this Kustoms L.a card being used on Mandy’s Mercury. The only other car we have been able to find using this same type cardboard display card is the Barris Kopper Kart. 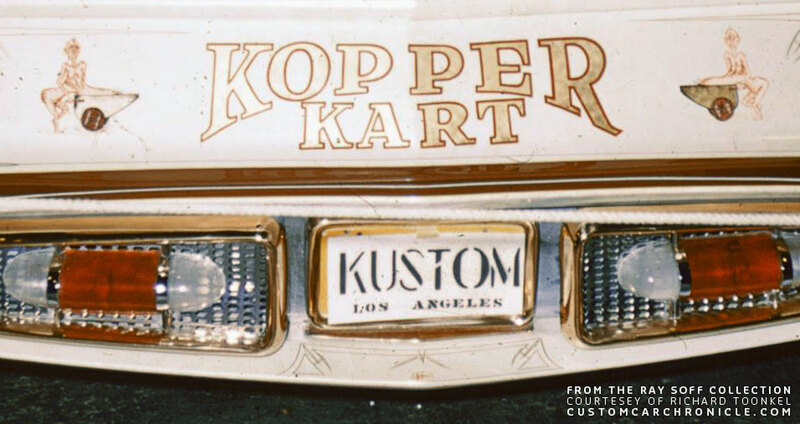 Close up of the Kustoms L.a. card used on the Kopper Kart. Rob Radcliffe snapped this picture of his Shoebox with the Kustoms Los Angeles cardboard plaque he printed from the CCC-Version, at the 2016 GNRS. It fits his period perfect car perfectly. That’s a wonderful compliment coming from you- someone who was there! Thanks, Memo. Yes, thanks Rik. And a nice touch for Rob’s beautiful car to show at the GNRS. A great article on the Kustom cardboard display cards. All of my favorite Barris built cars are shown in the photos for this story. Great article of Geroge Barris and his history….. The topic of plaques is one of my fav topics along with any thing Larry Watson / Harry Westergard…! 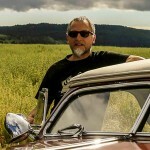 Great information here on the Custom Car Chronicle with Rik and the team. Thank you for the free Barris cardboard upload Rik…. Very good article…on the one photo of the Merc even the soon to be Aztec parked next had one on the front plate.